In a month of court victories for travelers' digital privacy, EFF continues its legal fight for Fourth Amendment rights at the border. We filed an amicus brief yesterday, along with the ACLU and NYCLU, urging a New York State appellate court to rule that border agents need a probable cause warrant to search the electronic devices of people at international airports and other border crossings. We asked the court to rule that the extremely strong and unprecedented privacy interests we have in the massive amount of highly sensitive information stored and accessible on electronic devices is protected under the Constitution. This is our eighth amicus brief in a case where border agents have conducted warrantless searches of travelers' phones or laptops at the border. For too long, federal agents have treated the border as a Constitution-free zone, searching travelers without individualized suspicion that they have committed a crime. This must stop. As in our prior amicus briefs in border search cases, we argued in yesterday's brief that the New York court should apply the analytical framework used by the U.S. Supreme Court in U.S. v. Riley. There, the court held that police must obtain a warrant to search the cell phones of people who have been arrested, after balancing the public's heightened privacy interest in their cell phones against the government's interests. Travelers at the border have the same privacy interests in the information contained on their electronic devices. In the case before the New York court, People v Perkins, border agents stopped a traveler at JFK International Airport after a flight from Canada. The agents searched his iPad without a warrant, and discovered contraband. A growing number of courts recognize that the Fourth Amendment protects digital privacy at the border. 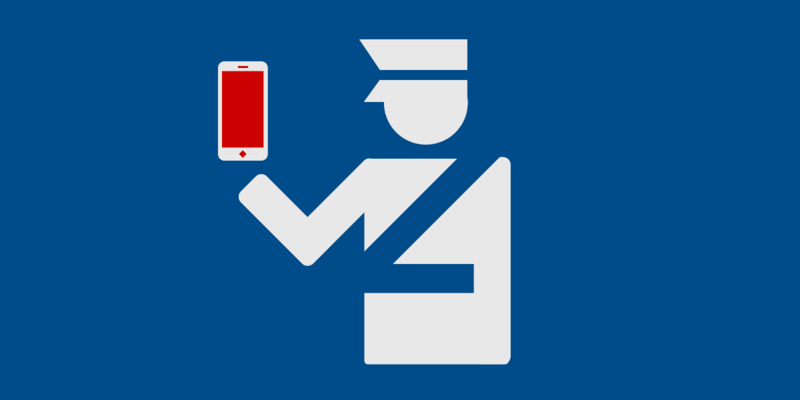 Earlier this month, for example, ruling in U.S. v. Kolsuz, a federal appeals court held that individualized suspicion is required for a forensic search of an electronic device seized at the border. In doing so, the Kolsuz court recognized the unique privacy interests that travelers have in their digital data. In Alasaad v. Nielsen, EFF's civil lawsuit against warrantless border device searches (along with ACLU), we recently won another victory for travelers' privacy rights. A federal court in Boston ruled on May 9 that our lawsuit against the Department of Homeland security could proceed. The court explained, based significantly on Riley, that "electronic devices implicate privacy interests in a fundamentally different manner than searches of typical containers or even searches of a person." We are encouraged by the rulings in Kolsuz and Alasaad, and hope courts in the other pending cases, including Perkins, will protect travelers' Fourth Amendment rights at the border.